When you are in Holberg, drive very slowly (10km/hr) through the Western Forest Products shop yard and veer right onto San Josef Main. You will encounter logging truck traffic all the way to the Ronning Main junction (at around the 14km marker). You shouldn’t meet any logging trucks all the way to the Cape Scott parking lot but be on the look out for our lowbed truck that infrequently moves large equipment to a location near the Cape Scott parking lot. Please drive to the conditions. The Ministry of Forests, Lands, Natural Resource Operations & Rural Development is planning a capital upgrade of several bridges and crossing structures on the San Josef Main FSR during the summers of 2018 and 2019. In 2018 we are planning to replace 7 bridges and one embedded CMP between 14.7km and 16km. We are not planning any road closures in the months of July or August, however if weather conditions in June are too wet, we may need to shut down during July. We will not impact any long weekends. If you have any questions or concerns, please contact The Ministry of Forests, Lands, Natural Resource Operations & Rural Development Engineering reps Sasha.Ward@gov.bc.ca or Alan.Bratosh@gov.bc.ca. Thank you for your patience during this capital road upgrade. 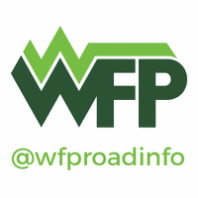 Check current road conditions on Twitter using @WFPRoadInfo and the #CapeScott hashtag or the feed on this website. Cellphone service is very limited and unreliable on this road. Issues like flooding and heavy industrial activity could end or significantly slow down your trip.